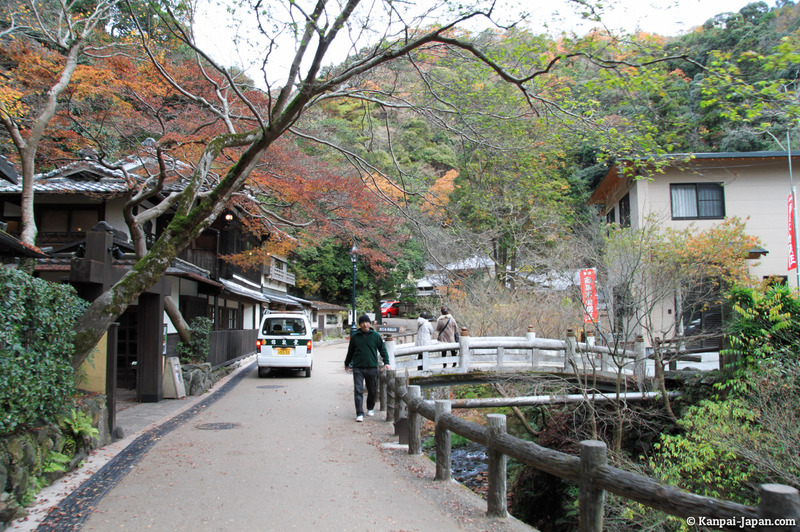 Half an hour by train north of Osaka is the small town of Minoh (or Minoo), a rural output popular among Japanese people from Kansai. 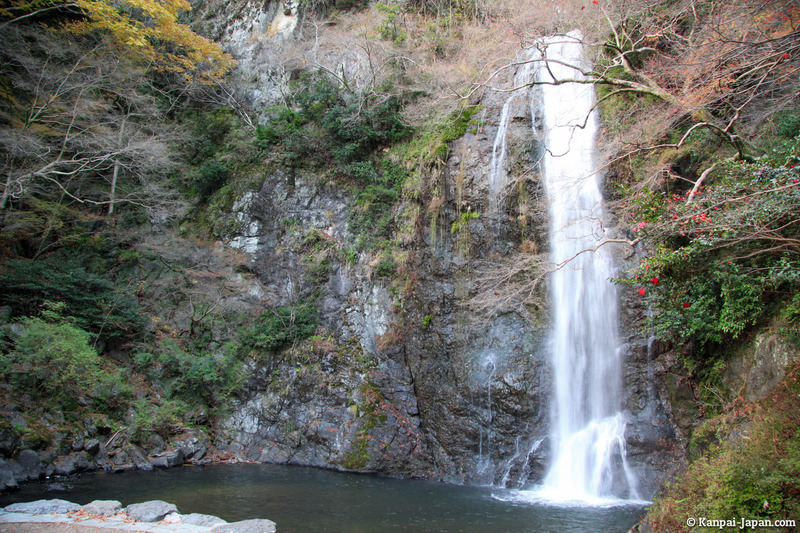 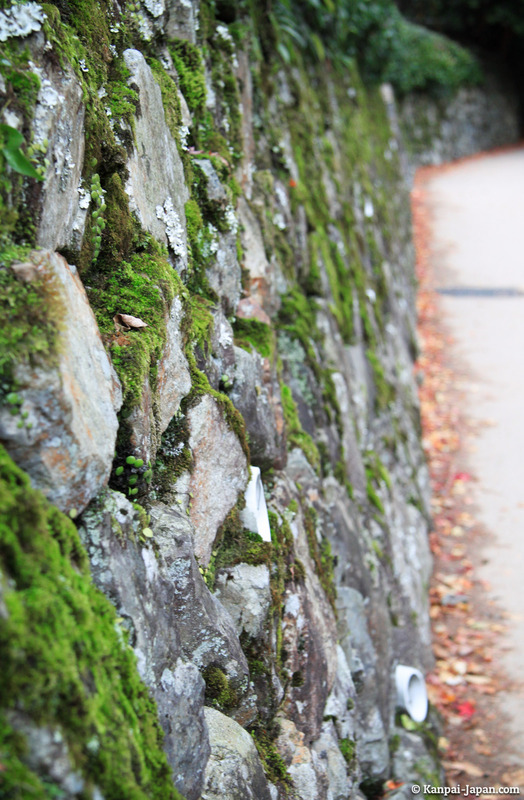 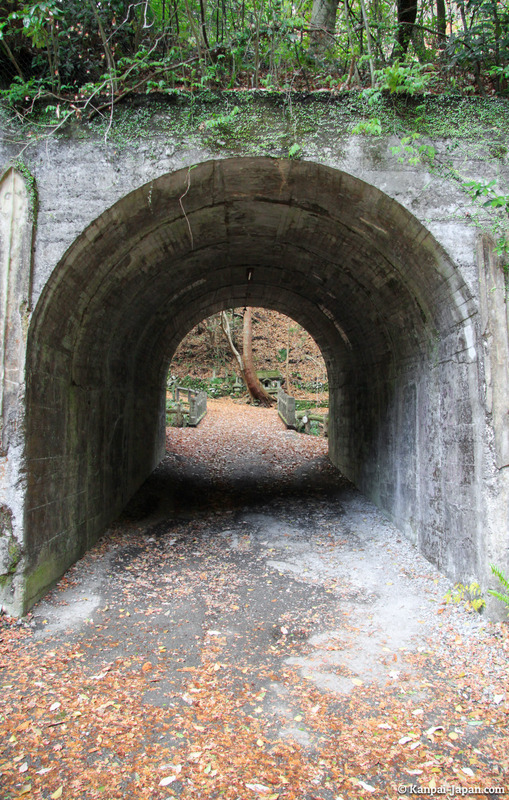 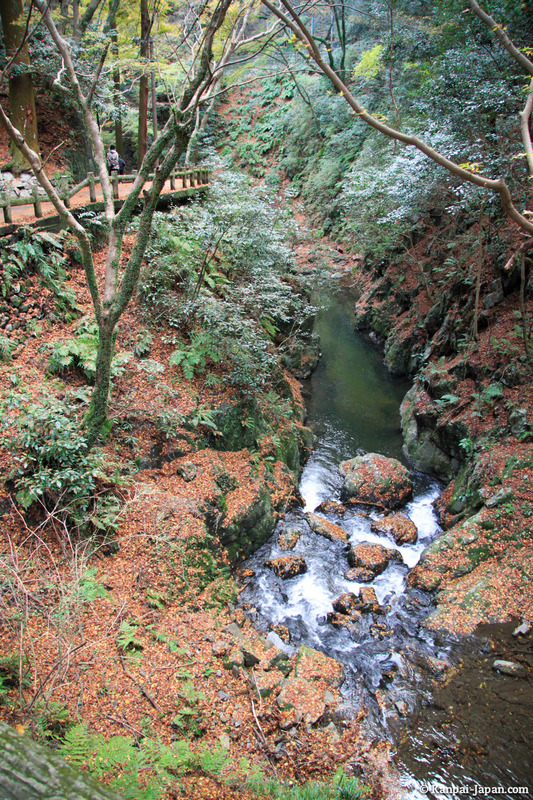 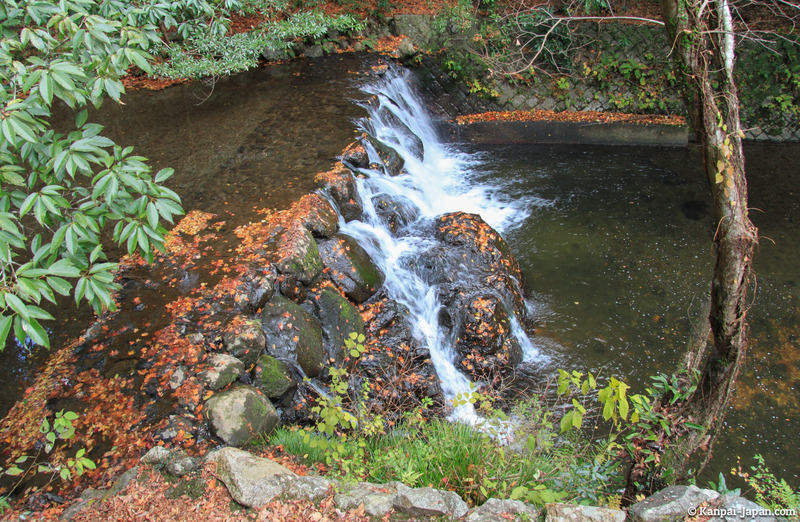 The main attraction of the city is the so-called "Minoo almost-national park - Forest of the Meiji era." 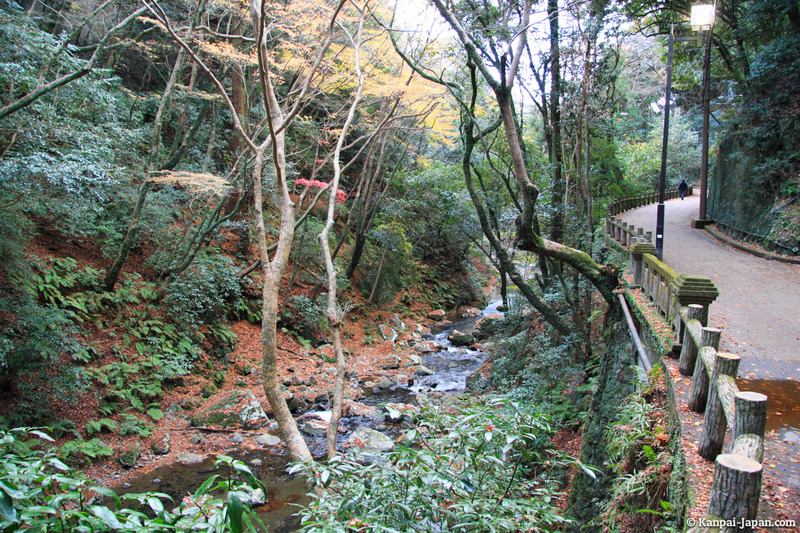 Only a few steps north of the station begins an easy hike of 3 kilometers on a concrete path along a stream in the forest. 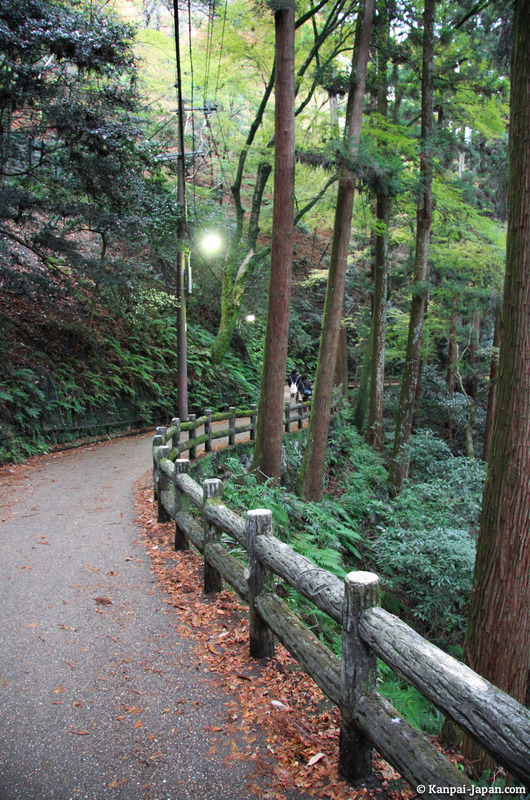 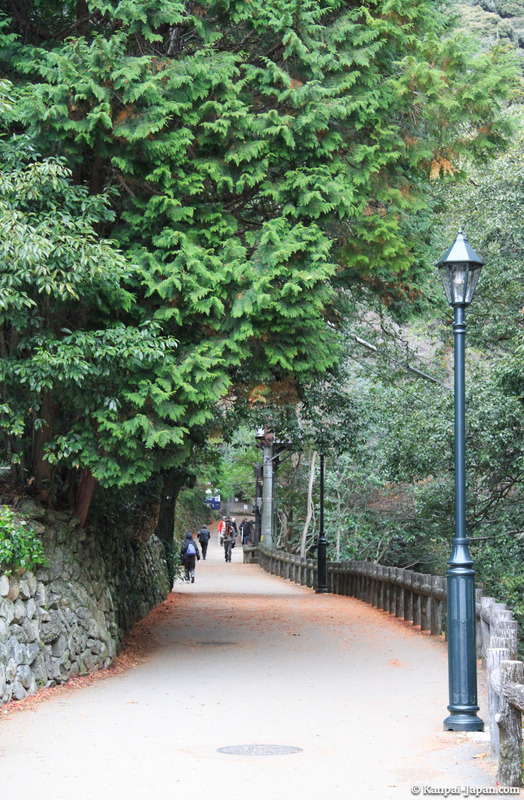 Minoh can be considered as Kansai's (small) equivalent of Mount Takao in Tokyo. 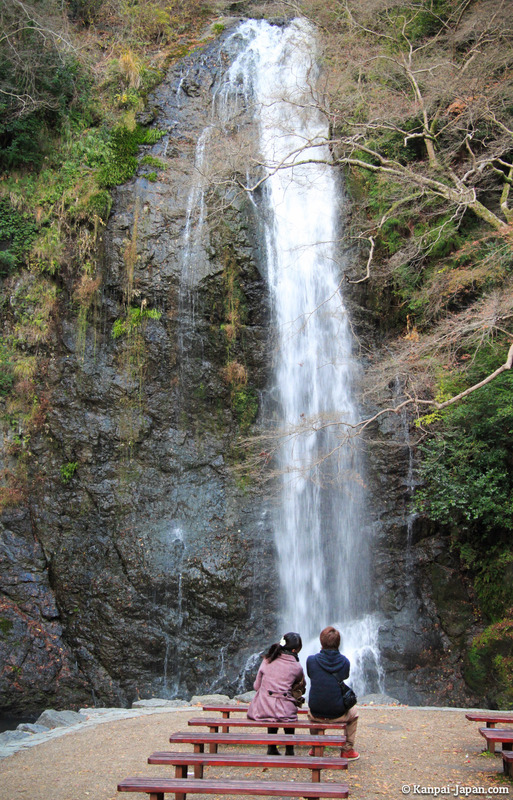 Visitors can be couples who came to enjoy a romantic stroll, runners, or families who enjoy an output weekend. 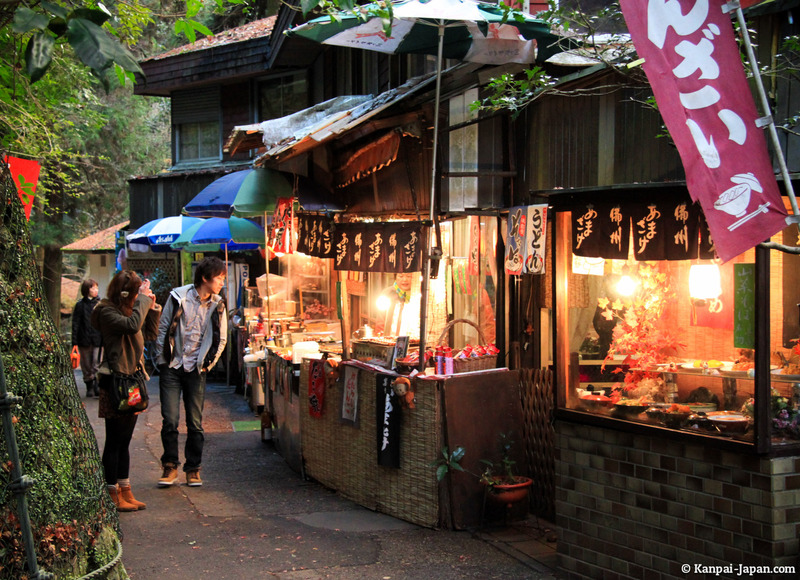 Western tourists traveling in Japan are rarer in the area. 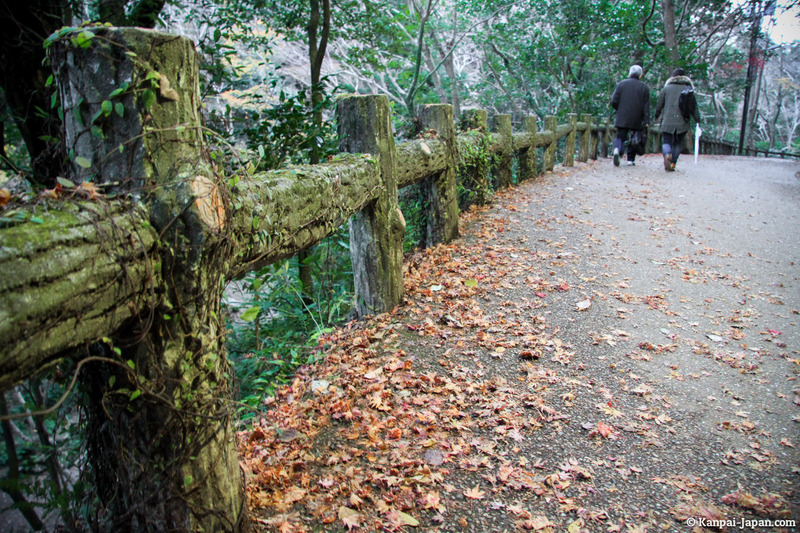 In any season, the vegetation of Minoh is very significant, but the peak of activity is on the second half of November, during the koyo season (red maple trees). 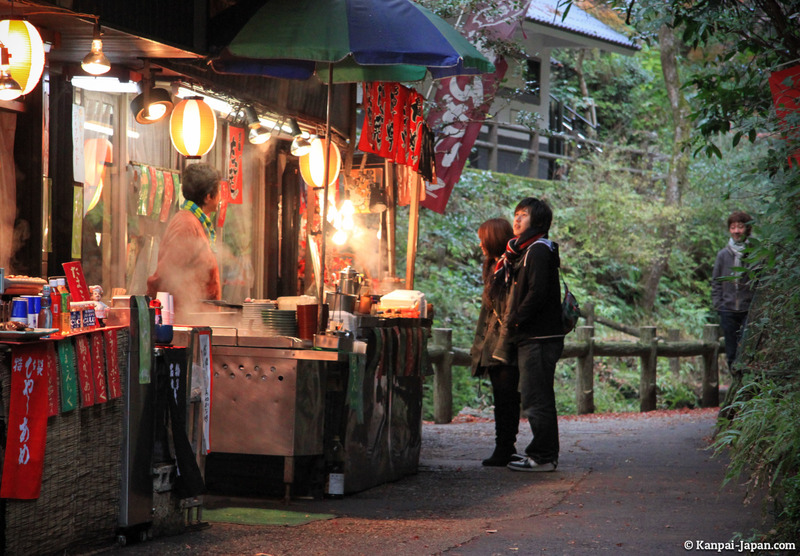 It's also in this period that you can taste the local specialty: momiji tempura. 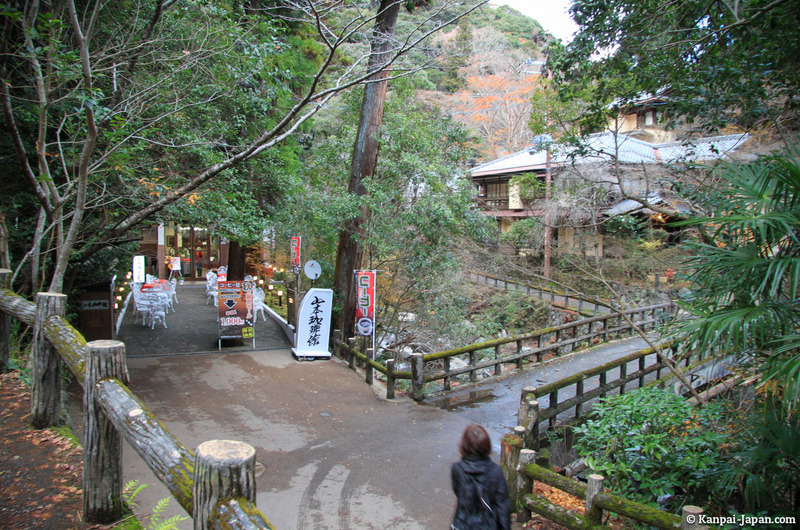 All along the way are small temples, traditional cafes or small shops, and tunnels that seem abandoned. 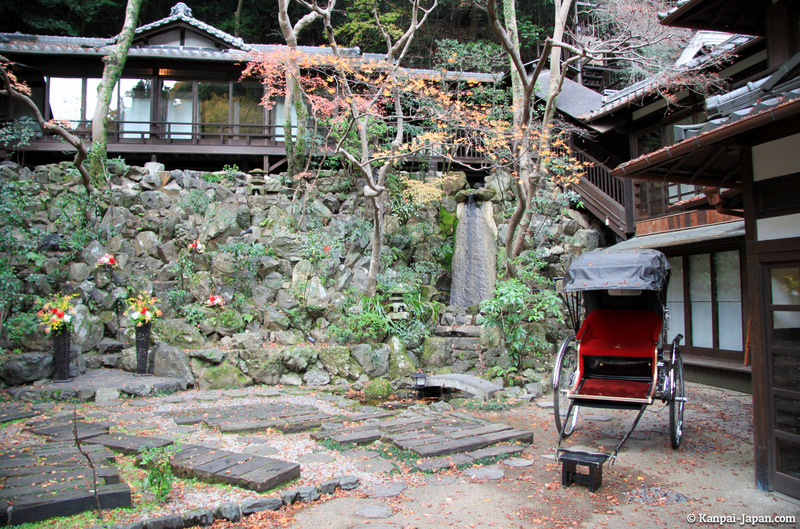 Although enlightened, the path repeatedly reminds some sets of Miyazaki's famous Spirited Away animation movie. 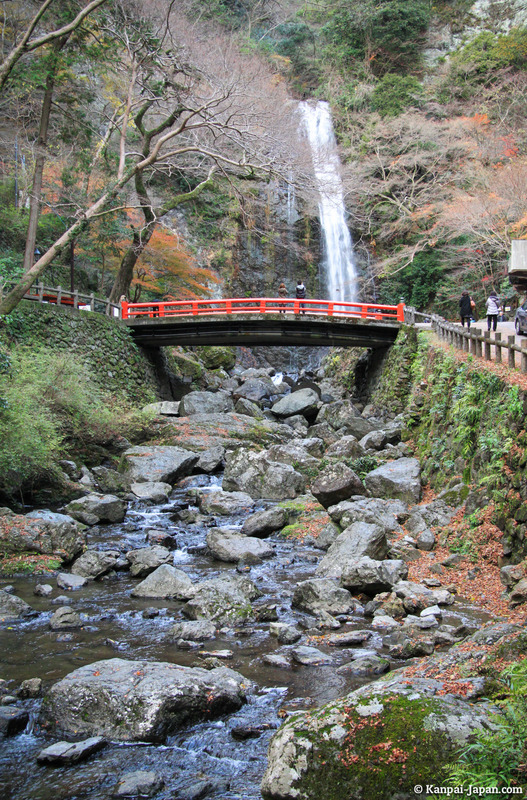 At the end of the tour, after a few shops is Minoh waterfall. 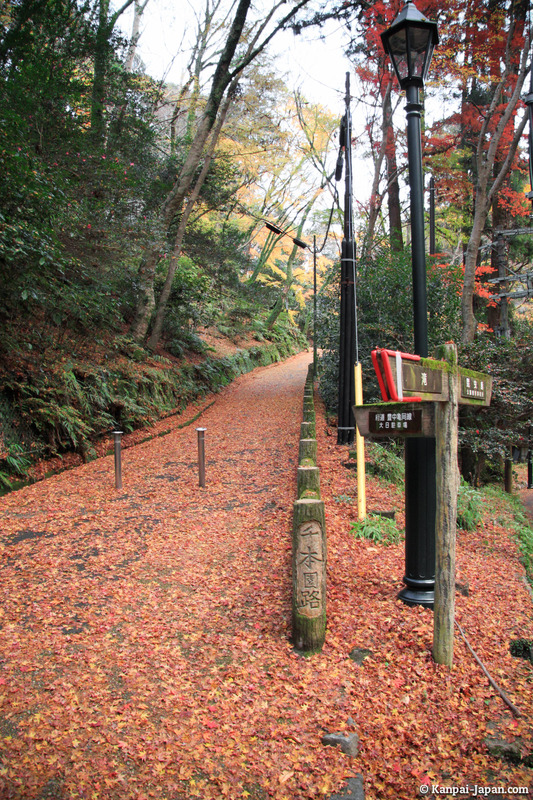 A reward of 33 meters high and 5 meters wide, which is admired from some adjoining benches where you can enjoy a snack. 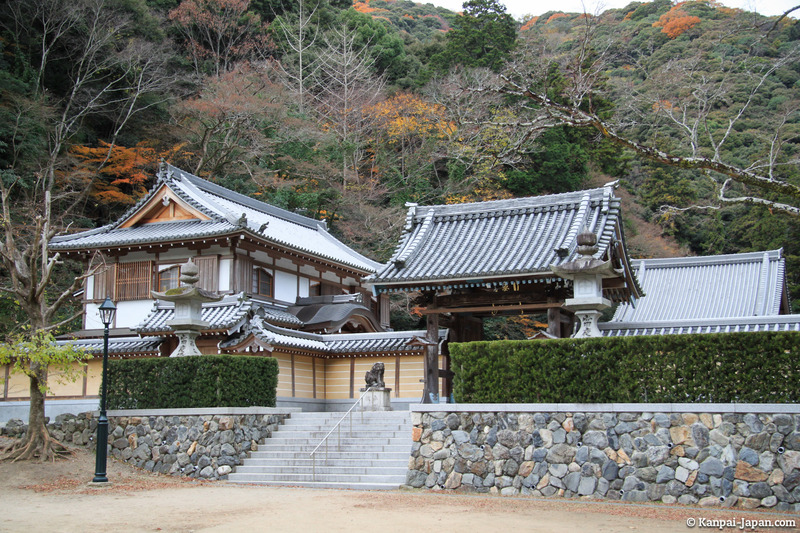 Halfway, for those who want to extend their visit in Minoh, is the Ryuanji Benzaiten temple. 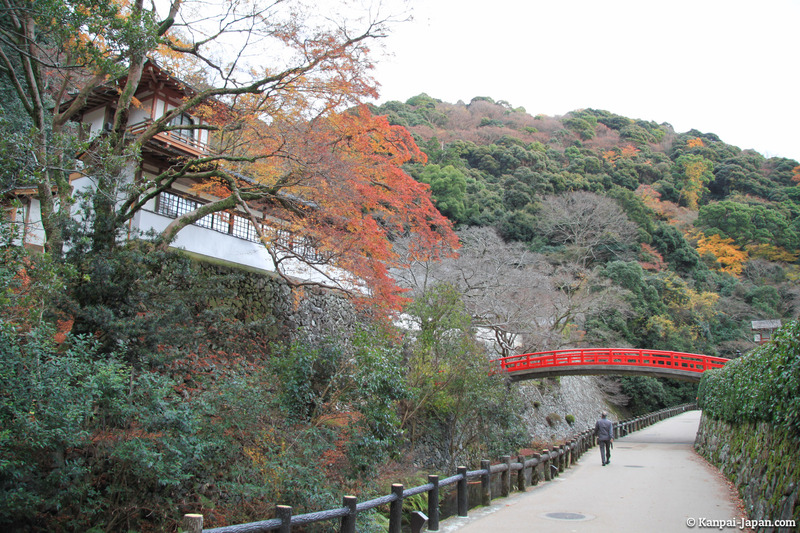 Then back down, before arriving at the station to get back to the train, it's also interesting to take the elevator (100¥) to the Spa Garden, which, from its platform, offers a wide view of all northern Osaka.